For Peter Philips, Creative and Image Director of Christian Dior Makeup, reinventing the iconic Dior 5 Couleurs Designer Eyeshadow was a tall order; but the results are stunning. 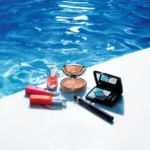 In addition, the new Diorshow Pro Liner Waterproof, Diorshow Brow Styler Gel and Diorshow Mascara join the Diorshow Collection. 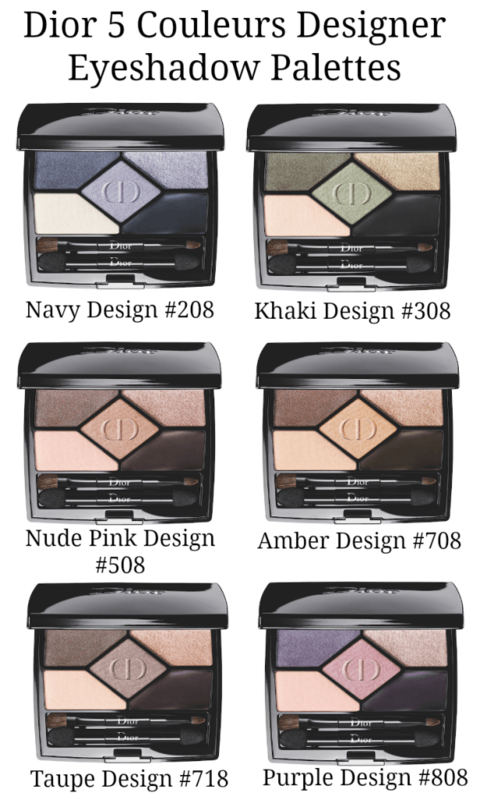 These Dior classics are everything you’ll need to create the perfect show-stopping eye look. Each aspect of the ‘5 Couleurs Designer’ Makeup Artist Tutorial Palette ($62) has been updated. A new eyeshadow base unifies and lightens, with a new formula featuring Dior’s “Color-Lock” technology, for color with maximum staying power. Dior’s “Color Pearl” technology enriches the eyeshadows with intensely colored pigments for a 3D luminous effect. 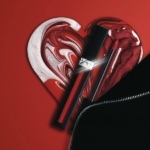 The highlighter shade includes Dior’s new “LCR” technology to boost overall radiance, while the improved gel liner creates lasting definition. 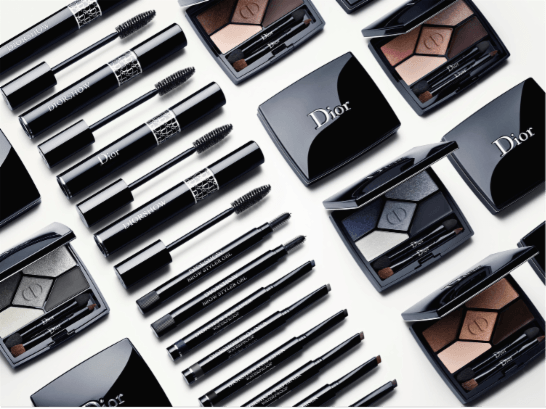 There are two new brushes and what I love, is that each palette includes a tutorial card with an integrated QR code that links directly to Dior’s pro tips and live tutorials to help every woman achieve the perfect eye makeup look. Next, the legendary Dior Diorshow Lash-Extension Effect Volume Mascara has been recreated featuring breakthrough new patented AIR-LOCK™ technology, a new deep conditioning, “stayfresh” formula enriched with microfibers for a lash extension effect, and the original “miracle maker” XXL brush. I’ve been a fan of Diorshow Mascara for many years, so I’m anxious to try this improved version. 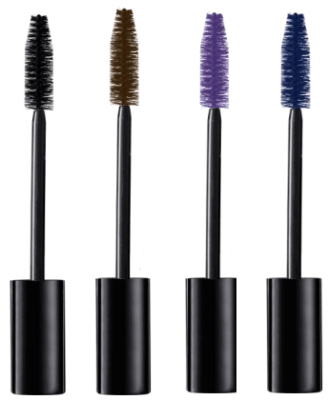 There are four new shades ($27.50 each) in the permanent line: Pro Black #90, Pro Brown #698, Pro Purple 168 and Pro Blue 258. With such a strong emphasis on brows, the introduction of new Diorshow Brow Styler Gel is perfect timing. This easy-to-use tool features a twist up brush applicator that delivers a nonsticky serum-gel formula that provides a natural finish while setting every hair in place, with a hint of shine. Available in three permanent shades: Transparent #001, Blonde #002 & Brown #003 ($32 each). 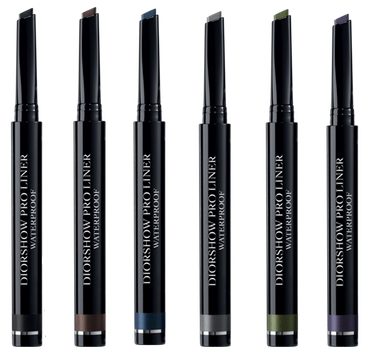 Dior‘s new breakthrough eye makeup innovation, Diorshow Pro Liner Waterproof ($32), is an all-in-one hybrid liner that’s as easy to apply as a pencil, but provides the glide and color intensity of a liquid liner. In six colours: Backstage Black #092, Backstage Brown #582, Backstage Blue #272, Backstage Grey #042, Backstage Khaki #472 and Backstage Purple #182. The Dior Diorshow Collection is available now at Dior counters and online retailers including Nordstrom, Saks, Neiman Marcus and Dior.com. Have you picked up any of these new products yet? Disclosure: Affiliate links have been used, which means a small commission is earned. This helps to support the Beauty411 site.